December is a very tough month for most football clubs because matches are played in a short period of time especially if you are in all competitions like Arsenal. The gunners are in the Premier League, Carabao Cup, FA Cup and UEFA Europa League and they have matches in most of these competitions in December. The gunners will play Qarabag tomorrow at the Emirates Stadium and Unai Emery would have made a great decision if he used a squad that consists of many youngsters since they have already qualified for the UEFA Europa League round of 32 and have the advantage of home support. As For Qarabag, it also has nothing to lose because even if it defeated the gunners, it would still be knocked out of the competition, so the stakes for this match are also very low for them. Arsenal’s last two matches against Huddersfield Town and Manchester United have been costly for Unai Emery because he has lost four first team players: Rob Holding (Injured), Aaron Ramsey (Injured), Shkodran Mustafi (Suspended) and Sokratis (Suspended) so it would be disappointing to lose a player like Aubameyang because of Qarabag. 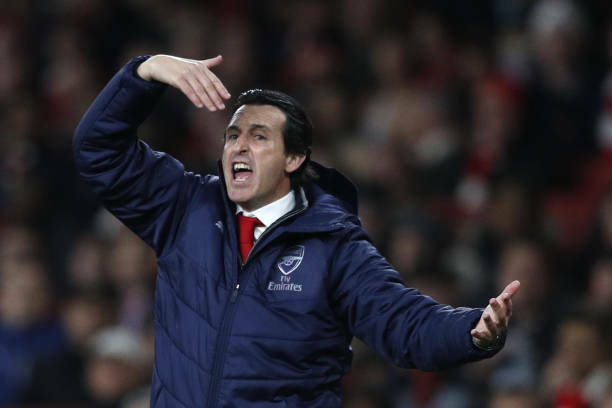 Arsenal boss Unai Emery did try using a team that consists of youngsters in Ukraine and it worked out well because the gunners scored three goals against Vorskla with Emile Smith Rowe and Joe Willock getting on the score sheet. Maybe we will probably see a similar squad tomorrow.